Dr, Fong provide care for newborns, children, teens, and adults who have genetic and metabolic disorders. He treats a variety of conditions, including birth defects, chromosome abnormalities, cystic fibrosis, developmental disabilities, Fragile X syndrome, Neurofibromatosis, Marfan syndrome, Prader-Willi and Angelman syndrome, Skeletal dysplasias and inborn errors of metabolism, including Medium-Chain Acyl-CoA Dehydrogenase deficiency (MCADD) and Phenylketonuria (PKU). 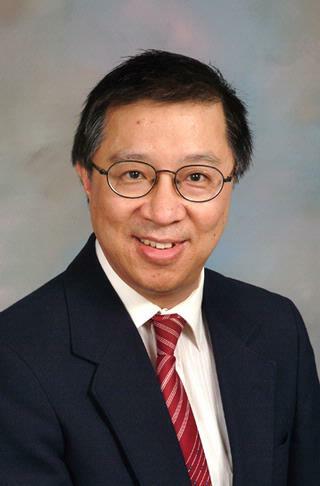 Dr. Fong has extensive experience working in his field and the Chief of Pediatric Genetics. 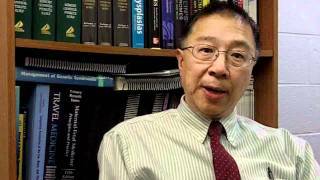 Dr. Fong's primary research interest is Genetics of orofacial clefts. Cleft lip and palate is a common birth defect that affects one in 700 children in the U. S. and around the world. Children with this birth defect face multiple challenges, such as feeding difficulty, hearing impairment, speech defects and many dental abnormalities. These problems, along with the cosmetic changes associated with the clefts, often result in life-long physical, educational and psychological handicaps. Caring of these children thus requires a team approach over long periods of time. Cleft lip and palate is a familial trait, but the genetic factors that result in this abnormality have not been clearly identified. Recent calculations have led to the belief that as many as a couple dozen genetic factors may act together to cause cleft lip and palate, with a few of the factors being more important than the rest. Moreover, there is convincing evidence that environment factors, such as cigarette smoking by the pregnant mother, play a role in the development of cleft lip and palate in the fetus. In these situations, the environmental and genetic factors act together to cause the birth defect. Therefore, cleft lip and palate is considered a multifactorial genetic disorder. The work in our laboratory is focused on finding the genetic factors for cleft lip and palate through linkage disequilibrium analyses. We believe that better treatment and prevention of cleft lip and palate will come from a better understanding of these genetic and environmental factors. Sponsor: University of Rochester School of Med. and Dent. Yuan B, Neira J, Pehlivan D, Santiago-Sim T, Song X, Rosenfeld J, Posey JE, Patel V, Jin W, Adam MP, Baple EL, Dean J, Fong CT, Hickey SE, Hudgins L, Leon E, Madan-Khetarpal S, Rawlins L, Rustad CF, Stray-Pedersen A, Tveten K, Wenger O, Diaz J, Jenkins L, Martin L, McGuire M, Pietryga M, Ramsdell L, Slattery L, , Abid F, Bertuch AA, Grange D, Immken L, Schaaf CP, Van Esch H, Bi W, Cheung SW, Breman AM, Smith JL, Shaw C, Crosby AH, Eng C, Yang Y, Lupski JR, Xiao R, Liu P. "Clinical exome sequencing reveals locus heterogeneity and phenotypic variability of cohesinopathies." Genetics in medicine : official journal of the American College of Medical Genetics.. 2019 Mar 0; 21(3):663-675. Epub 2018 Aug 30. Weiss K, Terhal PA, Cohen L, Bruccoleri M, Irving M, Martinez AF, Rosenfeld JA, Machol K, Yang Y, Liu P, Walkiewicz M, Beuten J, Gomez-Ospina N, Haude K, Fong CT, Enns GM, Bernstein JA, Fan J, Gotway G, Ghorbani M, , van Gassen K, Monroe GR, van Haaften G, Basel-Vanagaite L, Yang XJ, Campeau PM, Muenke M. "De Novo Mutations in CHD4, an ATP-Dependent Chromatin Remodeler Gene, Cause an Intellectual Disability Syndrome with Distinctive Dysmorphisms." American journal of human genetics.. 2016 Oct 6; 99(4):934-941. Epub 2016 Sep 08. What Good Are Commercial DNA Tests?